Joanne Podell has 25 years of commercial real estate experience, specializing in both tenant and landlord representation, and serves as the first and sole Executive Vice Chairman for Retail Services at Cushman &Wakefield.A three-time recipient of the prestigious REBNY “Deal of the Year” award, Ms. Podell continues to solidify her reputation as one of the most respected retail brokers in New York City. She was declared Cushman & Wakefield’s 2016 global top broker, the first time a retail broker has been the sole recipient of the recognition, and was named Cushman & Wakefield’s overall top retail broker in the United States for both 2014 and 2015. Throughout her tenure at Cushman & Wakefield, Ms. Podell has been involved in many of the retail industry’s most prestigious assignments, including the Manhattan roll-out of TD Bank (50 locations to date) and developing flagship stores for Nike in Washington, D.C. and San Francisco. Ms. Podell has been responsible for the strategic deployment of retail strategies for top-tier clients including: TD Bank, Nike, Ascena Retail, Destination XL, Dean & DeLuca, and Converse. She has also represented many of the city’s most prominent landlords, including Empire State Realty Trust, Trump, Madison Capital, and TH Real Estate. In 2016, Ms. Podell worked with Niketo sign their lease for a 70,000+ sf Midtown Manhattan flagship. The Nike deal at 650 Fifth Avenue was one of the largest in commercial real estate history. Ms. Podell also individually represented both Kay Jewelers and Converse in the openings of their first Manhattan stores. Additional recent noteworthy deals brokered by Ms. Podell and her team include bringing a Nike flagship to 529 Broadway in SoHo and leasing 43,000 sf to Target at ESRT’s 112 West 34th Street. Additionally, Ms. Podell launched Cushman & Wakefield’s Women’s Integrated Network (WIN), a mentoring network for female professionals, and oversaw its growth from 12 to 1200 participants. She is a former board member of the New York Women Executives in Real Estate (WX) and was named “Woman of the Year” by the organization in 2012. 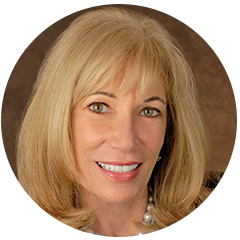 Ms. Podell is a current member of the Real Estate Board of New York (REBNY), where she served as Chair of the Retail Stores Committee, and is presently on the REBNY Board of Directors Commercial Division. In 2018, she was honored by REBNY with the Louis Smadbeck Memorial Broker Recognition Award for her exceptional integrity and leadership and her service to REBNY committees. She regularly volunteers and fundraises for charitable organizations, including Same Sky and the Young Women’s Leadership Network, which honored her in 2017 for her contributions.